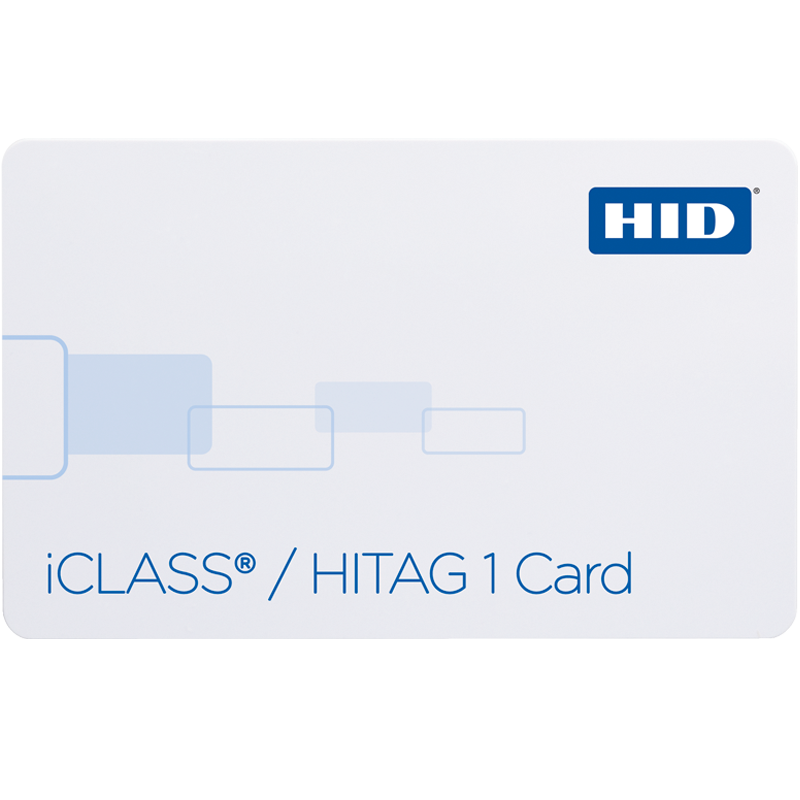 HID Global´s iCLASS® + HITAG1 cards support both low frequency 125kHz cards and 13.56 MHz RFID to meet the needs of organizations using multiple contactless technologies. The cards can be used for access control, PC logon, time and attendance and a range of diverse applications. The multi-technology cards are interoperable with existing iCLASS readers as well as iCLASS SE® readers. The smart cards leverage the increased security provided by HID Global’s Secure Identity Object® (SIO®) data model to protect the cardholder information. iCLASS + HITAG1 cards are part of the broadest suite of trusted, fully interoperable Genuine HID® secure identity solutions. Those cards are usable in environments where both iCLASS and HITAG1 RFID technologies are required or to support easy migration to high security iCLASS. HITAG1 is a registered trademark of NXP B.V in the U.S and other jurisdictions, and is used under license.